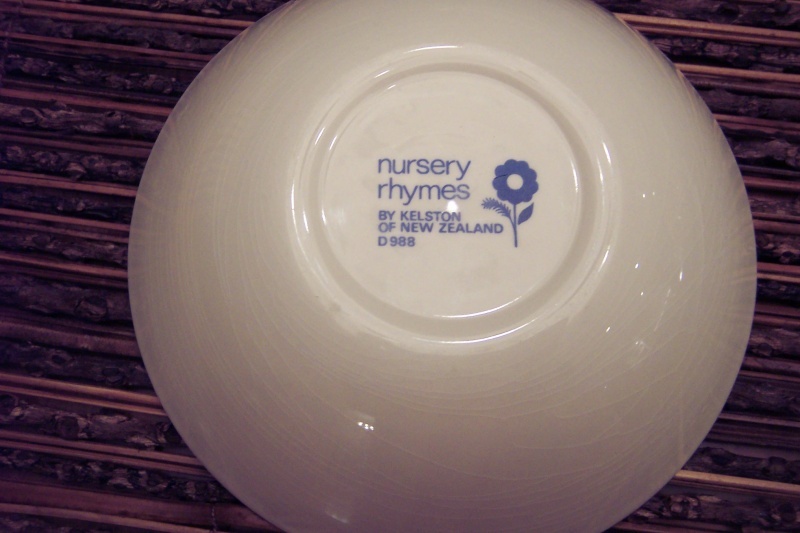 took being smokefree for 3 months but I finally got my Kelston Nurseryware bowl. And what do you know its identical to this one. 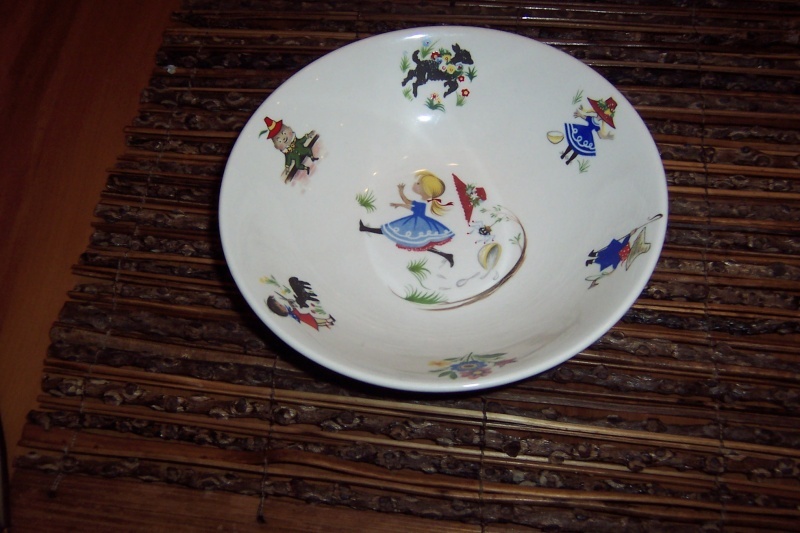 I have a tea plate with the version of Humpty Dumpty shown on the porringer (with his back to us) but there are no markings on the base. 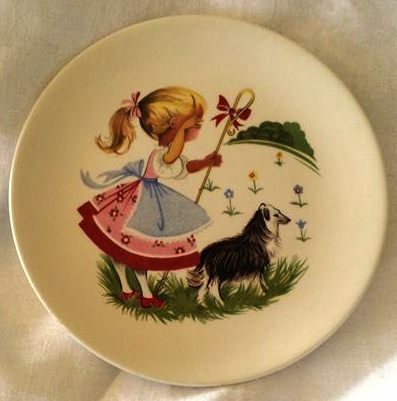 As this same design appears on Old Foley, Midwinter and other British Potteries' nursery china, I'm wondering who first used the design - and the others in the series - and if it was copied under license by other potteries. Crown Lynn would have purchased the decals that were available at the time, along with any other pottery manufacturers that wanted them too. 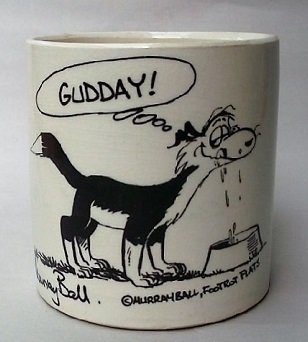 Yes you do come across this on a regular basis, where you see the same pattern on other potteries ware. It's just the same today, decals are sold to anyone who want to purchase them. Thanks for that. 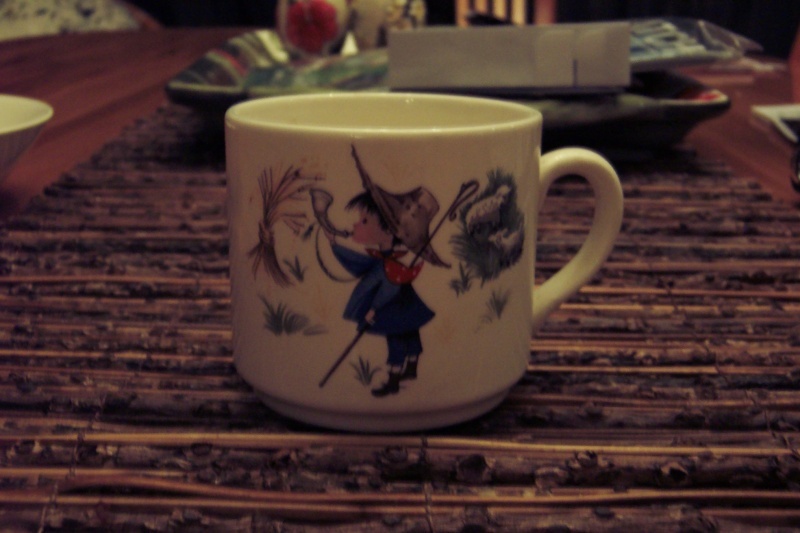 Now I'm keen to find out which pottery first used this range of nursery rhyme images - and who the designer was! 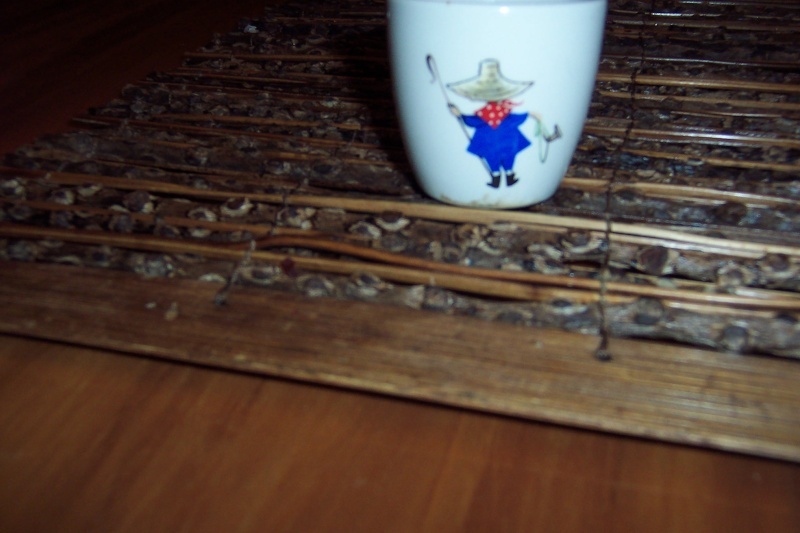 Little Bo Peep - she's so cute. Actually Janice I think it is the same pattern as above, but on different shapes. 4047, 4043, 4042 and most importantly 3041.